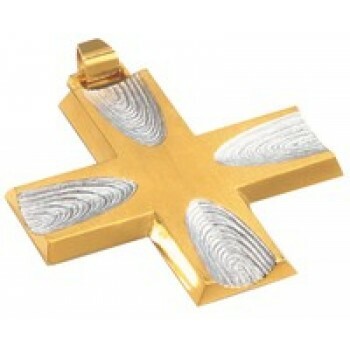 A pectoral cross or a bishop cross is a type of large decorative cross that is typically worn suspended from the neck by a chain so that it rests on the chest of the wearer. 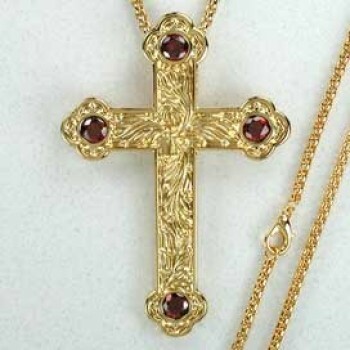 Pectoral crosses were originally worn by both clergy and laity, but are now restricted to popes, cardinals, bishops and abbots. 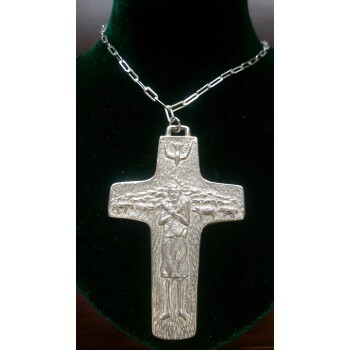 Modern styles of pectoral crosses are relatively large and are easily differentiated from smaller cross necklaces that are commonly worn by Christians. 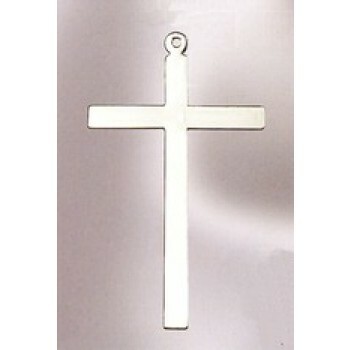 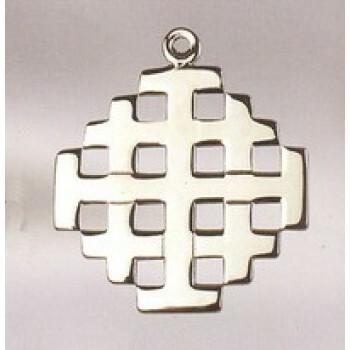 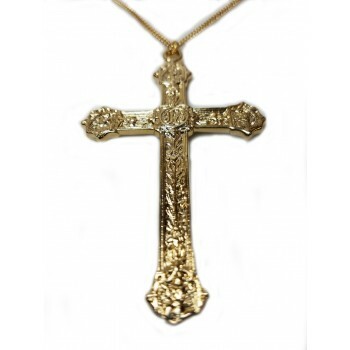 Most clergy crosses are made of precious metals like gold or platinum and may be left plain or ornamented. 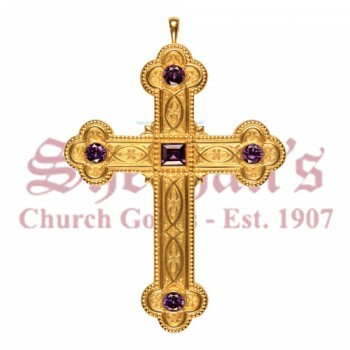 Decorated crosses are usually embedded with precious or semi-precious stones. 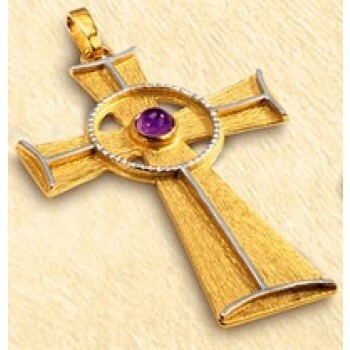 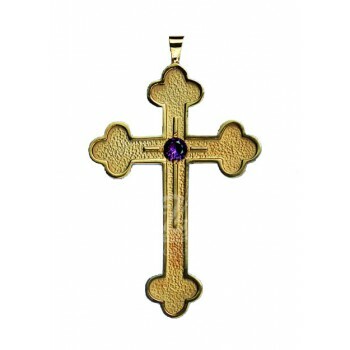 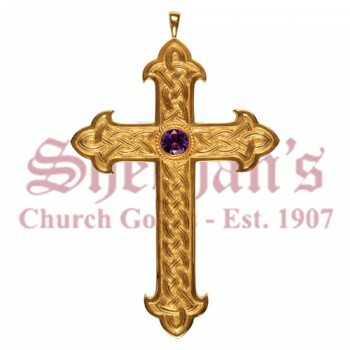 French Robe Style Brass Chain / Gold Plated with Mitre Hook 48"
Budded End Pectoral Cross with Genuine Amethyst 4"
Matthew F. Sheehan is pleased to offer a large selection of pectoral crosses to choose from in a full range of styles. 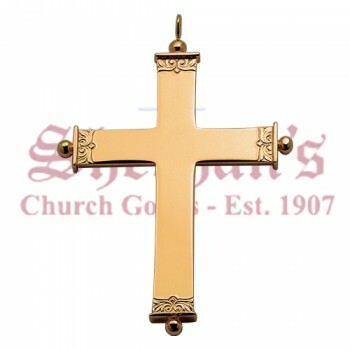 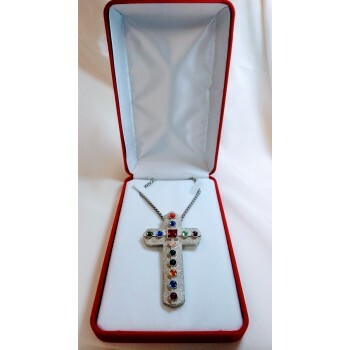 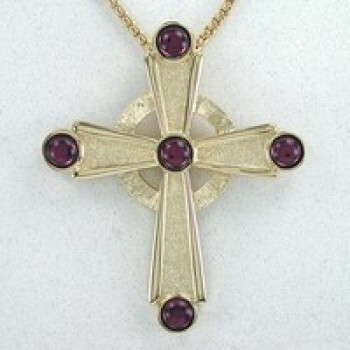 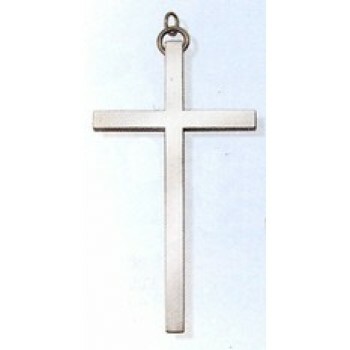 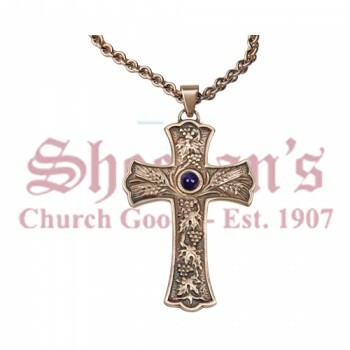 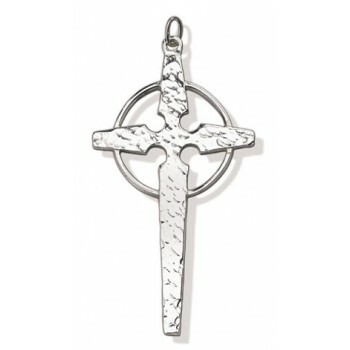 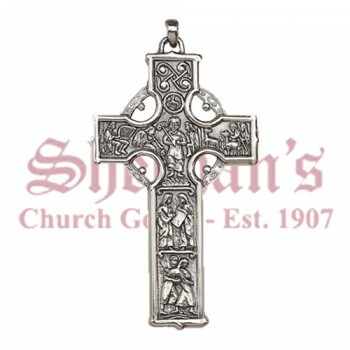 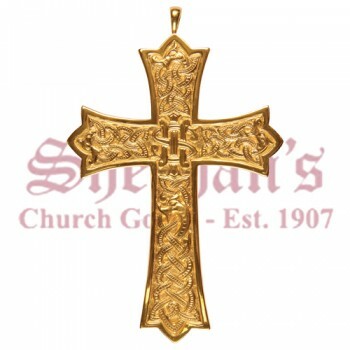 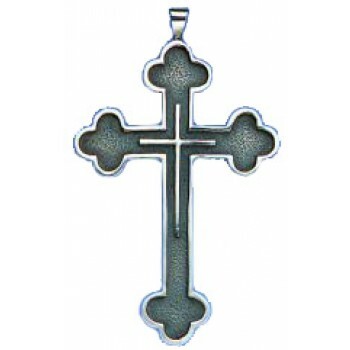 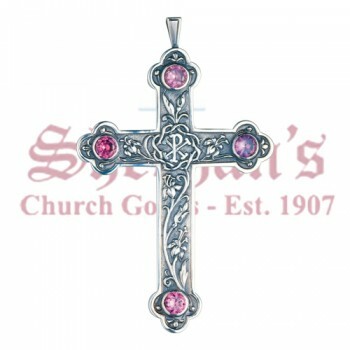 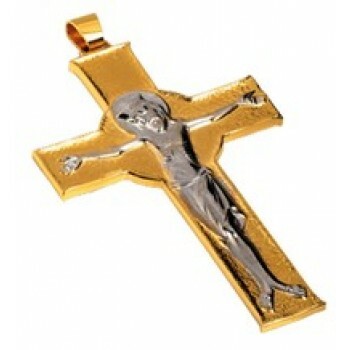 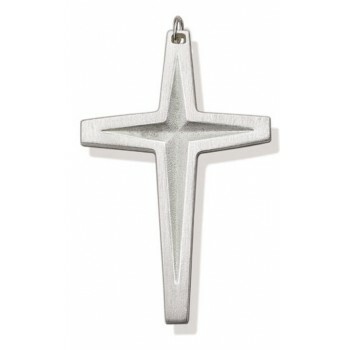 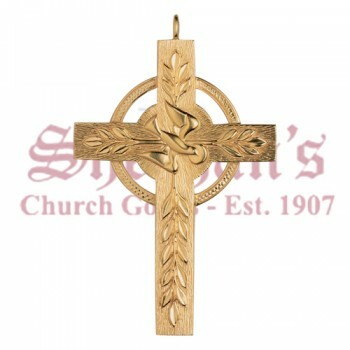 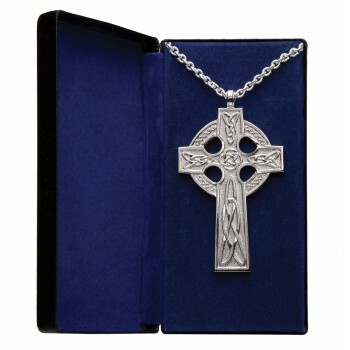 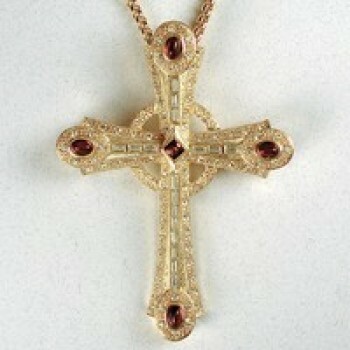 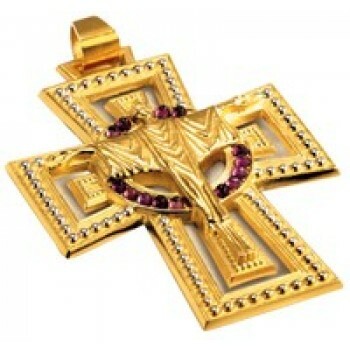 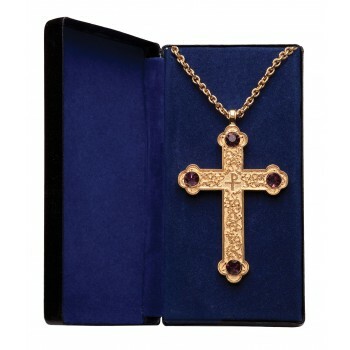 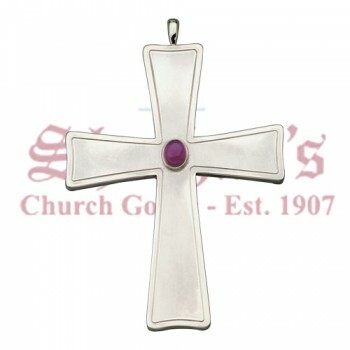 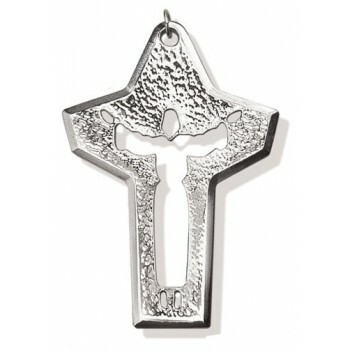 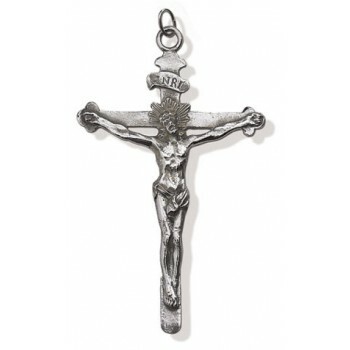 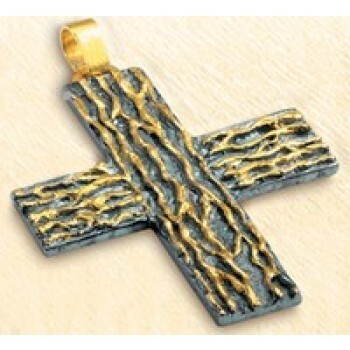 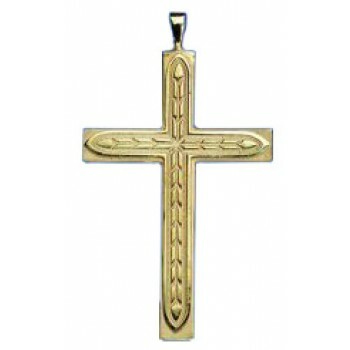 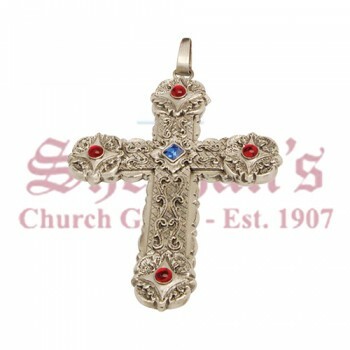 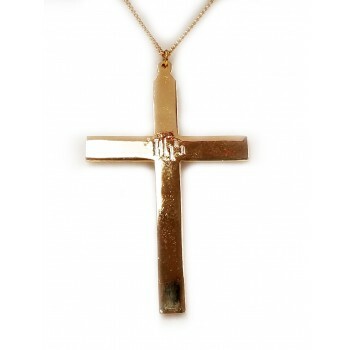 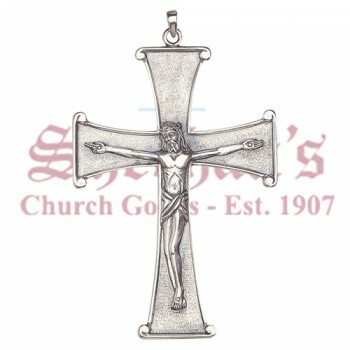 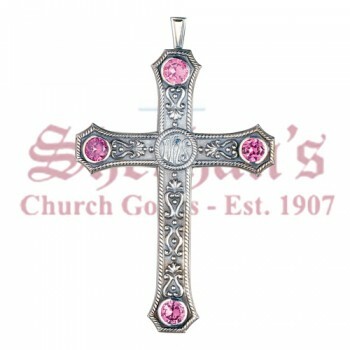 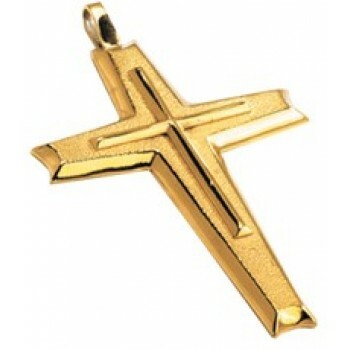 We carry everything from plain silver crosses to ornate carved gold crosses adorned with jewels and more. 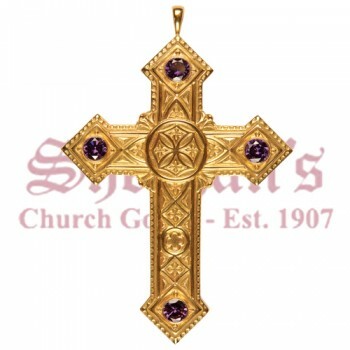 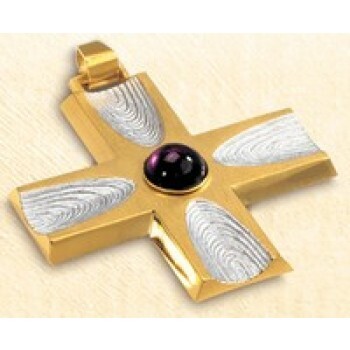 Our selection of bishop's pectoral crosses for sale is one of the largest on the internet, so you're sure to find a style you like. 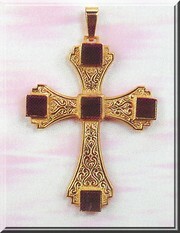 Our pectoral crosses are large in size and are easily distinguished from other types of vestments and ornamentation. 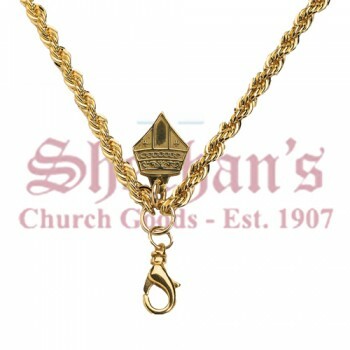 Select styles include a matching chain for convenience. 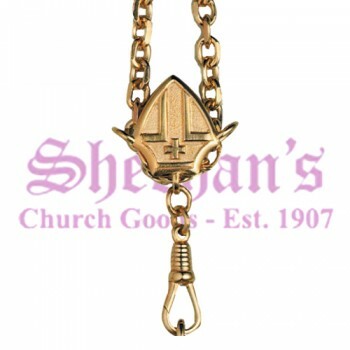 A chain is used when wearing the cross around the neck or when securing it within a breast pocket. 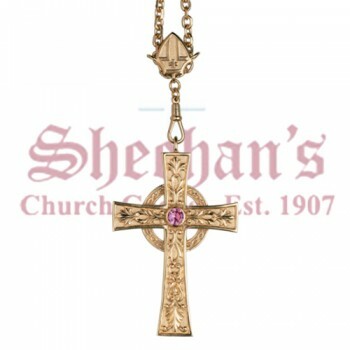 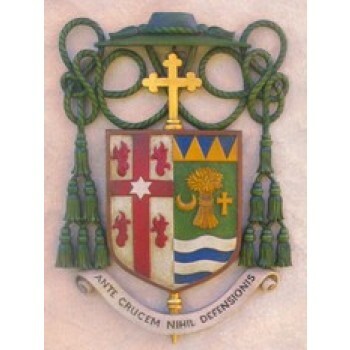 The bishop cross and chain is regarded as a standard part of a bishop's attire.